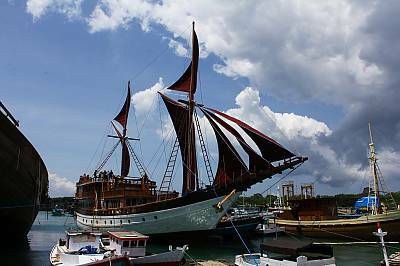 Indonesia is striving to have its ancient phinisi shipbuilding culture included to the United Nations Educational, Scientific and Cultural Organization (UNESCO)'s Intangible Cultural Heritage list this year with an exhibition to boost the move. Nadjamuddin Ramly, the Cultural Heritage and Diplomacy Director under the Ministry of Education and Culture on Wednesday the UNESCO's meeting would be held in Seoul, South Korea, in early December. "Phinisi wooden boats typically have two masts and seven sails of differing sizes, known for their ability to punch through big waves and sail great distances. 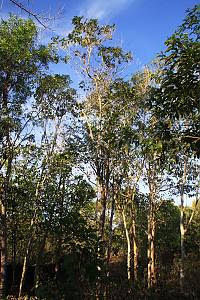 They have been used by Bugis traders for centuries to travel across the archipelago and the world," he added. In addition to the phinisi, the exhibition also presents pantun poetry and pencak silat martial art, two heritage items hopefully to be added in the UNESCO's Intangible Cultural Heritage list.